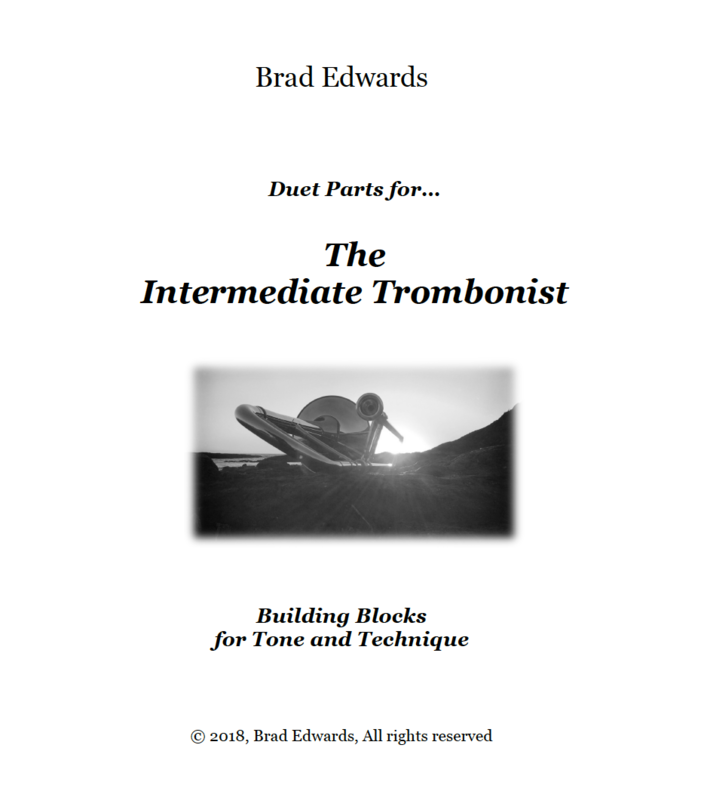 Designed as a compendium to The Intermediate Trombonist, these 100 duets can function as a stand-alone practice book. They are designed for a more mature player, and are most beneficial when played by the teacher. Although there are no rehearsal marks, they are formatted to be in alignment with the original etudes, simplifying navigation. Composed mostly in a homophonic style, good counterpoint is used in the more difficult etudes. What I particularly enjoy is the creative way that Edwards uses the duet part to help the student succeed by either simultaneously playing the same issue (dynamics, articulations, etc. ), or preparing the issue by placing it first in the duet part. Each completed duet is musically rewarding and some of the more difficult of these could easily be used in performance.